It's all in the details. 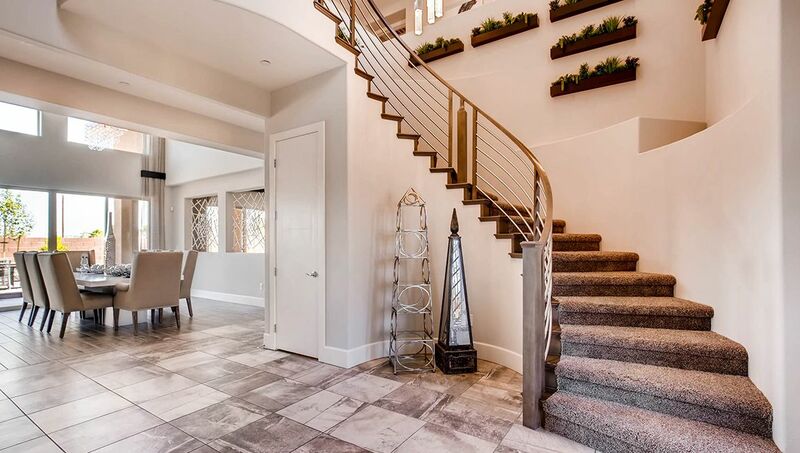 Canyon Estates brings refreshing designs to match modern day living. This gated community is nestled centrally in the heart of Las Vegas and features luxurious, executive style living. Only minutes from the Las Vegas strip, Canyon Estates is ideally located near dining, shopping, recreation and more. At Canyon Estates, homeowners aspiring to comfort and grand design enjoy homes ranging up to 4,980 square feet. Here you will find a host of available features including casitas and Multi-Generation living (per plan). Meanwhile, relaxing master suites have the feel of a spa-like retreat. With four floor plans to choose from, selecting the one to fit your lifestyle has never been more fun. Visit us today and find your new dream home.